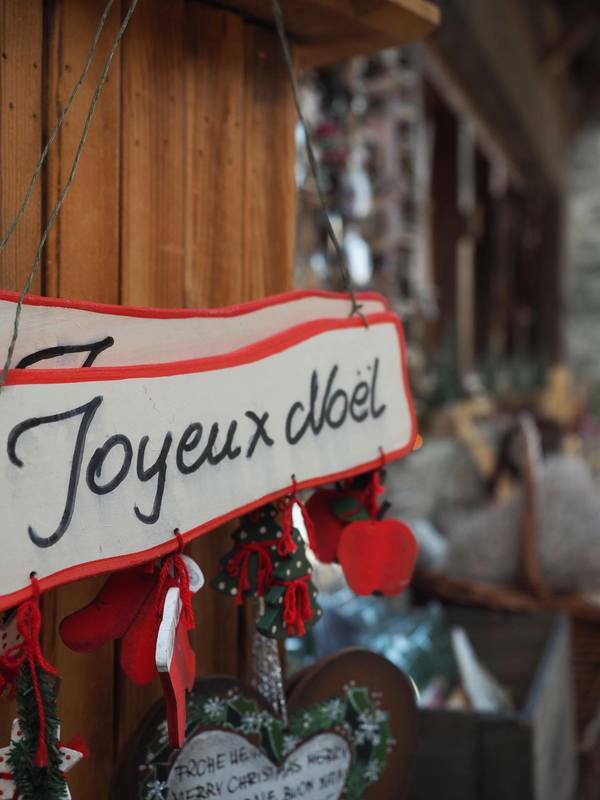 Date for your diaries – Saturday 9th and Sunday 10th December Les Fééries de Noël is a Christmas market which is set in Grimentz, a traditional Alpine village in the Val d’Anniviers. With stalls selling local and international goods, handcrafted goods, toys, food stands and more, it’s a perfect place to visit for a winter’s day out. Every year Santa arrives in spectacular style, he has been known to arrive by helicopter, on a sled driven by huskies, even on a zip wire! Who knows how he will arrive this year? The “Grimentz Rambler” tells us more. 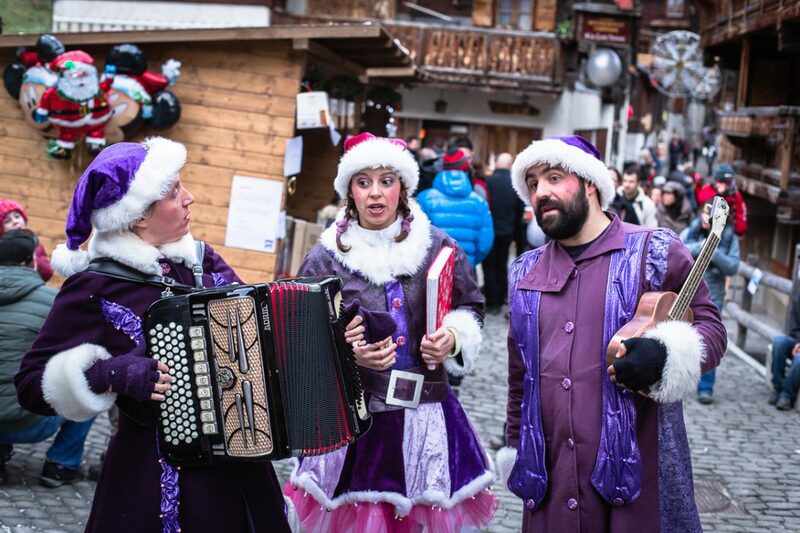 Over the second weekend of December, the Christmas market opens its doors in the traditional Valais village of Grimentz (at 1570m in the Val d’Anniviers). From kiosks to events, there’s something to delight young and old alike as the calendar moves towards the end-of-year festivities. Les Fééries de Noël has become the region’s must-see pre-Christmas experience. All through the weekend, visitors can explore around 30 Christmas-themed stalls as well as enjoy a programme of activities designed for all ages. 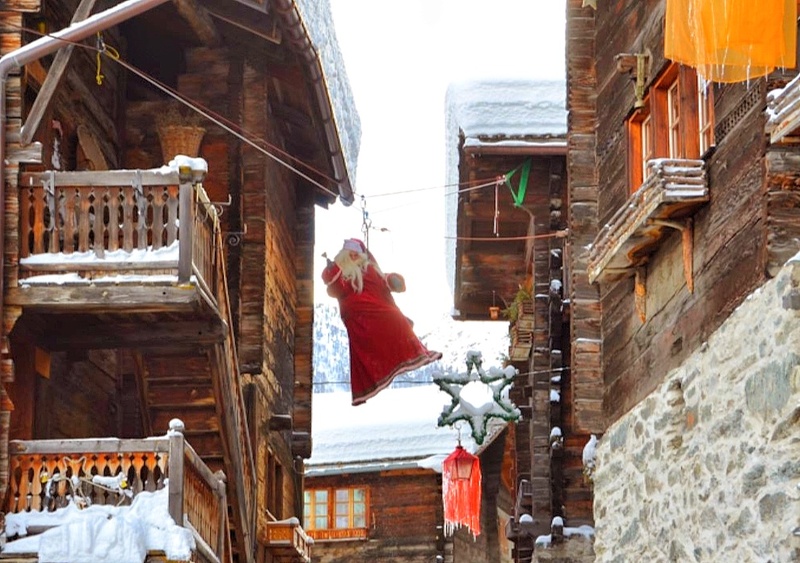 A “Féérie” can be translated as enchantment or fairy-tale, and because of its centuries-old setting of blackened wooden buildings with snow-laden roofs, the old village of Grimentz is indeed transformed into a charming mid-winter scene. The central street is lined with strings of fairy-lights, every stall is illuminated, and there are glittering stars strung across between the old houses. 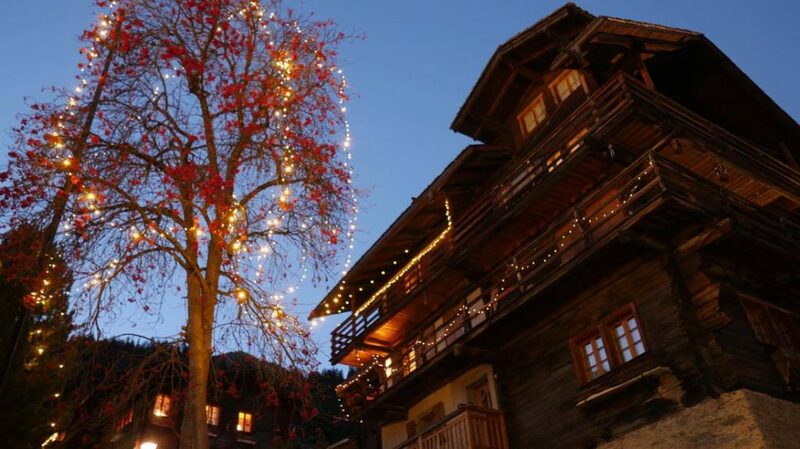 One of the most charming winter traditions in the Valais (but this also applies to most mountain areas in Switzerland) is “allumer le toit” or lighting up your roof from Advent to Easter. This can be achieved by installing a rope of lights under the eaves, which are then switched on at night. 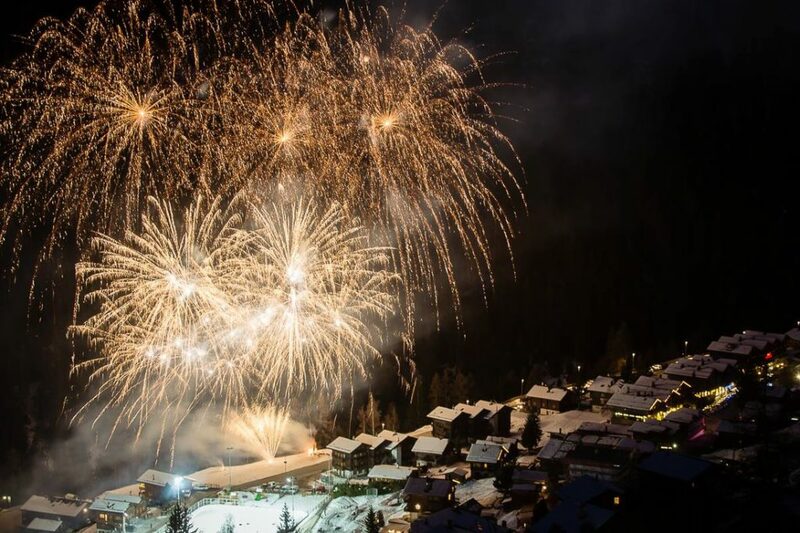 As you approach a village such as Grimentz in the dark, the effect is to witness a whole series of lit-up, upside-down Vs. The curious visitor wandering through the narrow village streets (cobbled in summer, usually snow-covered in winter) will be able to discover selections of teas and decorations, hand-crafted chocolates and home-made jams, scented soaps and beautifully carved toys. The stall-holders are always on hand to give advice on purchasing the most suitable Christmas presents to suit your taste and budget. Those with a keen palette will have the chance to tickle their taste-buds in a variety of ways. During my nine years of living in this village, not only has there always been a strong regional representation of local products (Alpine cheese, dried meats, vin chaud, local wines), but also a selection of international stalls: Alsace, Finland, Austria and the UK included. One of the most popular food-stalls is run by the area’s fire brigade, who concoct their locally-renowned 17-vegetable soup in a huge tureen—a piping hot cup costs CHF 5 and is accompanied by a hearty chunk of pain valaisan. There are also wandering musicians and minstrels in traditional costume. 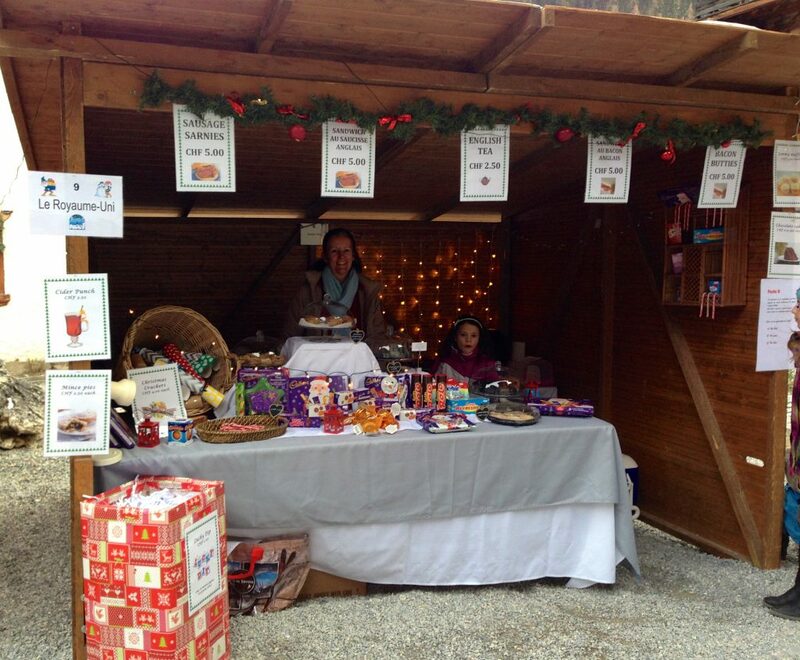 The market is open on Saturday from 14.00 – 22:00 and on Sunday from 11:00 – 17:00 (with fireworks on both days). 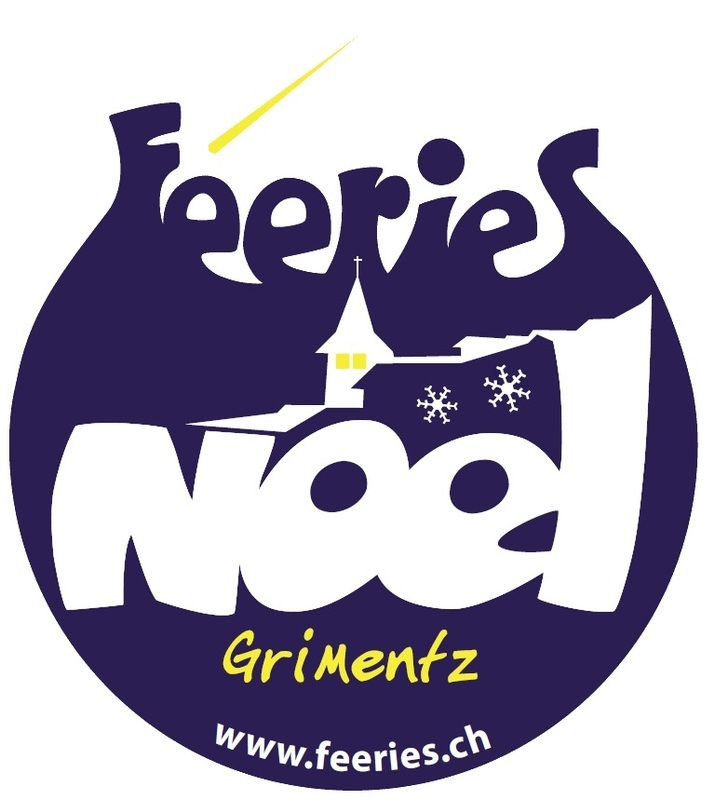 The organising committee of Les Fééries de Grimentz is proud to highlight the fact that this is not just a simple Christmas market. While they are promoting the village in winter by encouraging visitors in their thousands, a certain amount of money is set aside each year from any profits raised, and then contributed to a named charity.